Subway tile remains the most popular choice for our clients when it comes to kitchen backsplashes, and it's not hard to see the appeal. The design is classic and simple, it goes well with both traditional and modern spaces, and, although its ubiquitous, there are lots of options for making the look unique. If you're looking for inspiration for a subway tile backsplash in your kitchen, here are eight photos from versions we've done recently in client remodels. 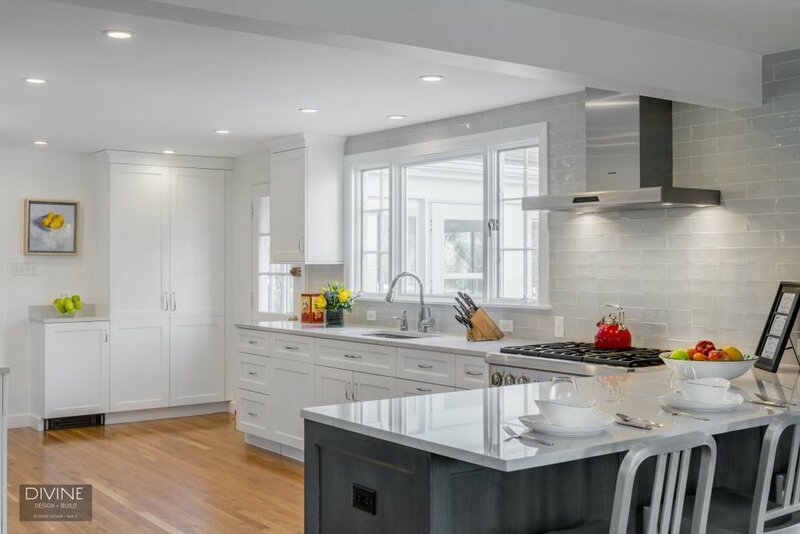 This transitional space in Foxborough features clean and simple white-on-white subway tile, with dimensional tiles added behind the stove for interest. Among the many variations on traditional white subway tile: this elongated gray version, which pairs beautifully with white cabinetry and silver-toned hardware. Here's another shot of the above kitchen showing the tile against the darker gray kitchen island. The marble subway tile here brings an upscale look to this beautiful transition kitchen and adds enough detail to visually break up the white upper and lower cabinetry. In this kitchen, the pattern of the white subway tile stands out thanks to contrasting gray grout, a nice touch for more rustic or industrial style spaces. The shot below shows how well the gray grout complements the stainless steel lighting and appliances in the kitchen, too. 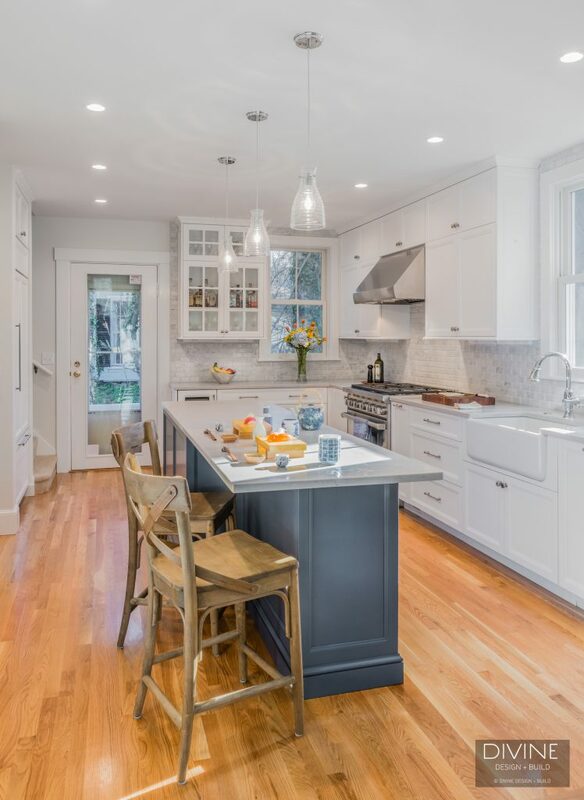 Finally, a subway tile with a subtle metallic finish picks up the gray-blue tones of the cabinetry in this traditional Cape Cod kitchen. And here it is continued into the butler's pantry, below. There are plenty more design ideas where those came from! Get in touch with Divine Design Build to discuss your vision for your kitchen, see samples of hundreds of different subway tile backsplashes, or just inquire about more information, here.